“I am worried that speeding and drink driving can kill others. We must try to reduce deaths from these causes. So, anyone who violates speed limits or drives under the influence and causes death will be held responsible for murder,” Gen Prawit said at the Defence Ministry yesterday (Apr 5). The new measure would add to other measures earlier introduced to boost road safety during Songkran, he said. Other measures include impounding the vehicles of drunk drivers. 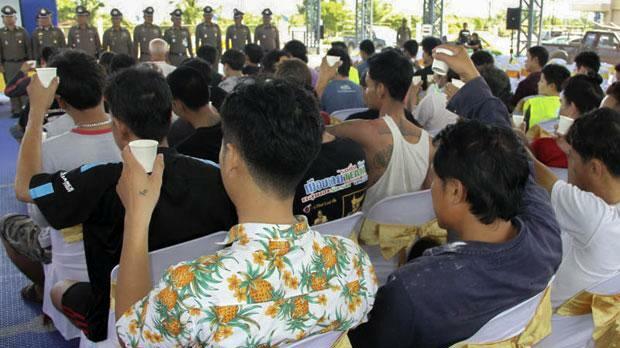 He did confirm that Songkran revellers will be allowed to travel around on the back of pickup trucks as usual. “Let it go for now,” said Gen Prawit, who is also the Defence Minister. Despite the intense road safety campaign for the Songkran festival in April last year, there were still 3,724 traffic accidents, which killed 418 people and injured 3,897 others. Speeding and drink driving were cited as the most common causes. Traffic accidents killed 20,169 people in Thailand last year, according to official statistics. The thai excuser doesn't know the age of 'serial commentator'. Therefore his reaction on other comments doesn't make sense. It is all just personal insulting attacks, bitterness and hatred., based on nothing. Never something contributing . Pity.